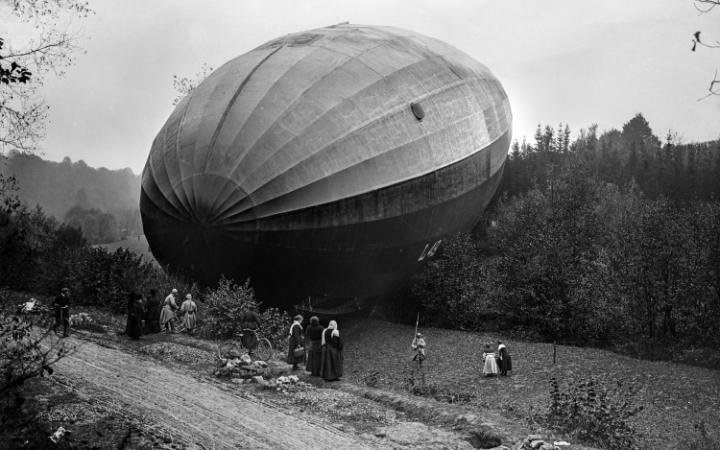 GERMAN ZEPPELIN LOST ABOVE FRENCH TERRITORY, 1917, BY ALBERT MOREAU CREDIT: ECPAD/ FRANCE/ ALBERT MOREAU. From ‘The Great War as Never Seen Before‘, Telegraph. From the imperialism of time zones to remembering the Alamo in Japan, here are this week’s top picks in imperial and global history. A modern life lived by natural time, dictated by the sun or moon, would be confusing. A conference call dialed at 9 a.m. in Boston would ring at the Springfield office at 8:54 a.m local time. A last-minute birthday text sent instantly from Philadelphia at 11:59 p.m. would need to read “belated” in New York City, as it would arrive at 12:03 a.m. local time. In the past two centuries, as technologies of mass media have advanced, so too has our knowledge of the suffering of distant others. It is through this knowledge that the new ways of generating empathy underpinning the modern humanitarian movement came into being. But the desire to help others is difficult to disconnect from representations of their need. Humanitarianism is a modern phenomenon, generally traced to the late-eighteenth century, when new forms of print media publicized the plight of far-off peoples. At heart it was about helping a distant stranger, rather than a friend or neighbour. Not only the provisions but the ammunition is all gone. Thirty-two men hear the news and hurry to the scene.